Our facilitator training is a mentorship program to guide participants in refining communication methods, exploring conflict mediation, empowering leadership skills, and *most importantly* increasing ability & awareness around holding space. Intended for current or aspiring facilitators / educators / organizers / community leaders, this program is customized to support personal growth that extends into the community. The training emphasizes the utilization of sound & music practices as infrastructure for leadership work. The facilitator training program is a 12-week structure that is customized for each participant to best integrate sound healing principles & practices into the participant’s background, experience, and current context. 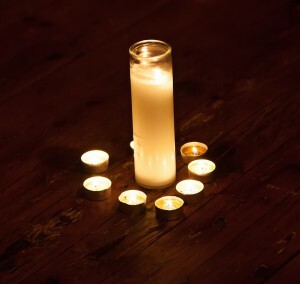 Although the Voice Journey approach is primarily focused on voice work, this program can also integrate sound healing practices with instruments such as singing bowls, tuning forks, percussion, flutes, and other musical instruments. 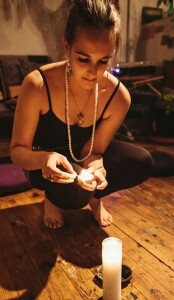 The program is highly experiential in nature, emphasizing the importance of what my teachers have called “ringing your own bell.” Before we apply sound practices to our work with others, it is of the utmost importance that we have a thorough, personal & fundamental understanding of the practices and their underlying principles for ourselves. As we work through various techniques, we conduct phenomenological research — taking careful note of the effects of the practices on our biological, psychological, and energetic systems and assessing the underlying principles of sound healing at work in each technique. The Voice Journey® facilitator training is not only an opportunity for skill-building and enhancing your current offerings to others, but it is also a great commitment to deepening your own practice of self-care and journey of healing through sound. goals, and the possibilities of this mentorship program.